The Zuccotto of Bismantova is part of the cold cuts and cured meats result of the fantasy of the butcher that was located in the feud of Matilda of Canossa. 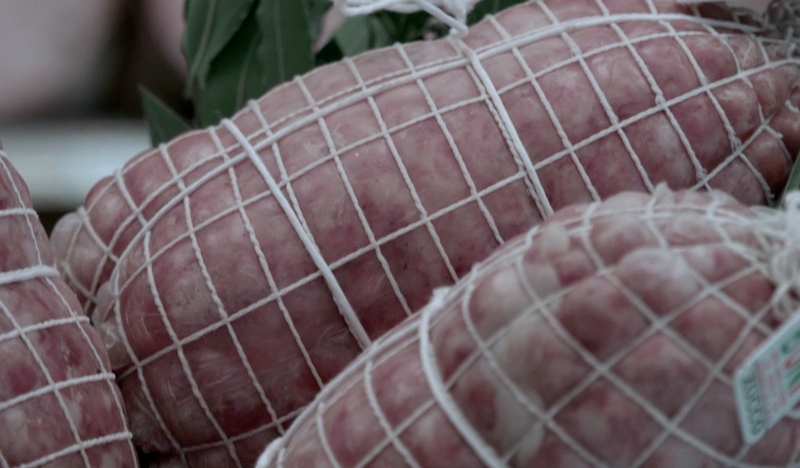 The Zuccotto is made from local pork meat, especially tasty thanks to the crossbreeding between the local pork and the wild boar that live in the forest. Once the Medieval butchers noticed that their livestock were subjected to frequent raid from these animals, they facilitated the crossbreeding sure to benefit from this. Not everybody knows that the secret unique flavor of Zuccotto is due to the seasoning, the pork meat is marinated for 48 hours before the grinding and the drying. It’s a question of a combination of herbs and seasoning – dry bay tree leaves, black pepper, juniper berry, cinnamon, cloves, nutmeg and garlic – that are perfectly balanced with this fine meat and draw out its flavors.